Pearl Dental NYC always appreciates feedback from our valued patients. To date, we’re thrilled to have collected 23 reviews with an average rating of 4.96 out of 5 stars. 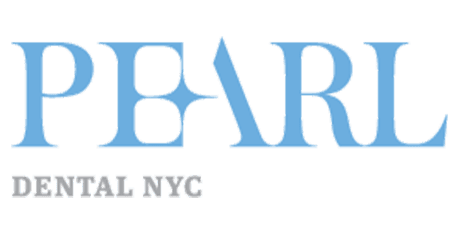 Please read what others are saying about Pearl Dental NYC below, and as always, we would love to collect your feedback. I was a patient of Dr. Chillura's for almost 30 years. After not experiencing the best of dental care during my childhood, I had many dental issues when I was first recommended to him by a friend. Over the years, I felt that I was taken care of by him and his entire staff in a very professional, thoughtful way and that I received the highest quality of care. Although I had lived in other parts of the US and abroad over the years, I continued to go to his office for my dental care during my many trips to NYC. Now that I have permanently located elsewhere, I will be a patient of a new dental practice. This new practice has a very tough act to follow! I would like to take this opportunity to let you know what a special person you are. Not only are you an excellent dentist, but your kindness throughout the years has been very much appreciated. Your dedication and expertise mean all the more to me as a World Trade Center survivor. When I view the acknowledgements of your efforts, i am proud to know you and happy our paths have crossed. For more information on our insurance plans, please call the office. Pearl Dental NYC accepts Care Credit, we have our own payment plan, and we have our own office discount dental insurance plan. CareCredit is a flexible patient payment program, specifically designed for healthcare expenses, that makes it easier for you to get the treatment or procedures you want and need. CareCredit is ideal for co-payments, deductibles, treatment and procedures not covered by insurance, and can be used at over 35,000 practices nationwide, including Pearl Dental NYC. Pearl Dental NYC offers a Patient Dental Program- a dental savings plan of $395 a year for those without dental insurance. Click here for more information.